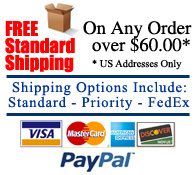 Free Standard Shipping on orders over $60.00. We generally ship all orders received before 3pm PST the same day (shipping Monday through Friday, Postal Holidays excluded). Before you buy another LED, Ask! Has it been designed specifically for RV use? Is it rated for 10-30 volts* to handle RV specific demands? Does it integrate Aluminum Heat Sinks* for LED Longevity? 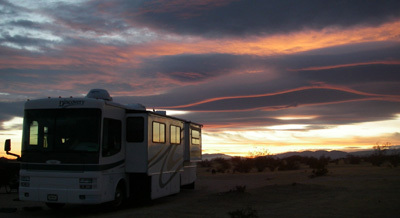 Your RV is Worth It! M4 is based in Southern California. Our products are designed and sourced specifically for their applications. As Avid RV and Off Road enthusiasts, we are extremely familiar with products which make active lifestyles more enjoyable. 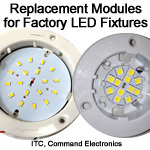 Our product line is focused around cutting edge LED technology due to its energy and superior light output benefits. 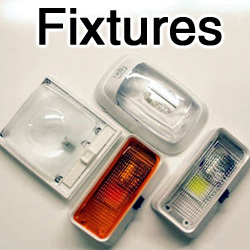 M4 develops and sources RV Replacement LEDs that have been chosen specific to the application of RV interior lighting. There are other less expensive generic LED bulbs available, as well as replacement products that cost substantially more, but M4 has done the research and testing to provide solutions that not only performs well, but do so at a reasonable price. 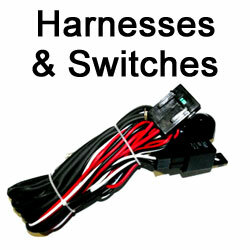 Whether you have an RV or Trailer, we have a quality LED light to meet your needs.